Yifeng was born and grew up in Anhui, China. He received his B.A. in Chemistry from Soochow University in 2007 and completed his Ph.D. under the supervision of Prof. Yuanhong Liu at Shanghai Institute of Organic Chemistry (SIOC) in 2012, focusing on homogenous gold catalysis. In 2013, he moved to the US, as a postdoc in the Buchwald group at MIT, working on continuous flow chemistry. In 2014, he joined the Newhouse group as a postdoctoral fellow. 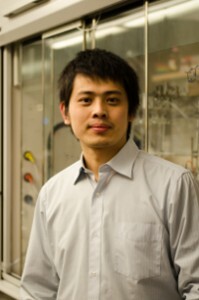 Yifeng began his independent career at East China University of Science and Technology in 2017.